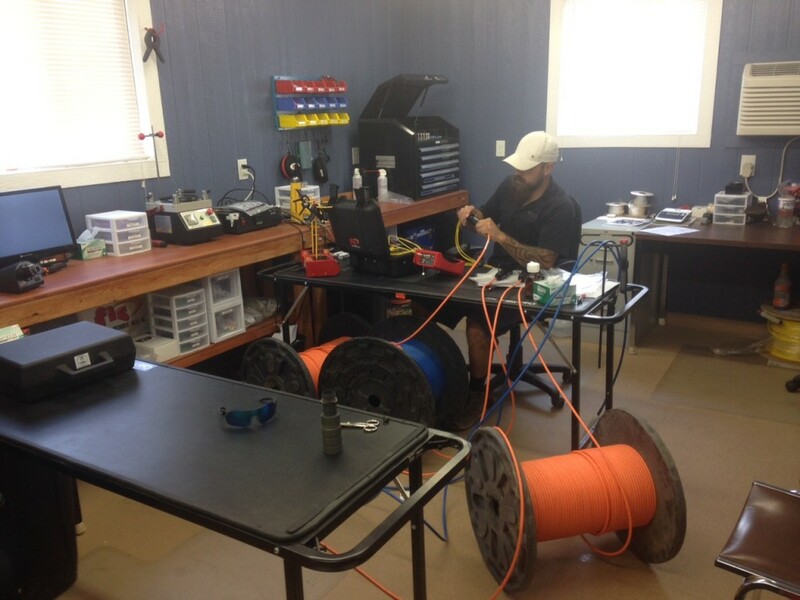 Cable Preparation – Hartline Supply Inc. These two fiber Singlemode Breakout cables have been stripped, cleaned, and LC connectors have been filled with epoxy, then installed on the fibers. 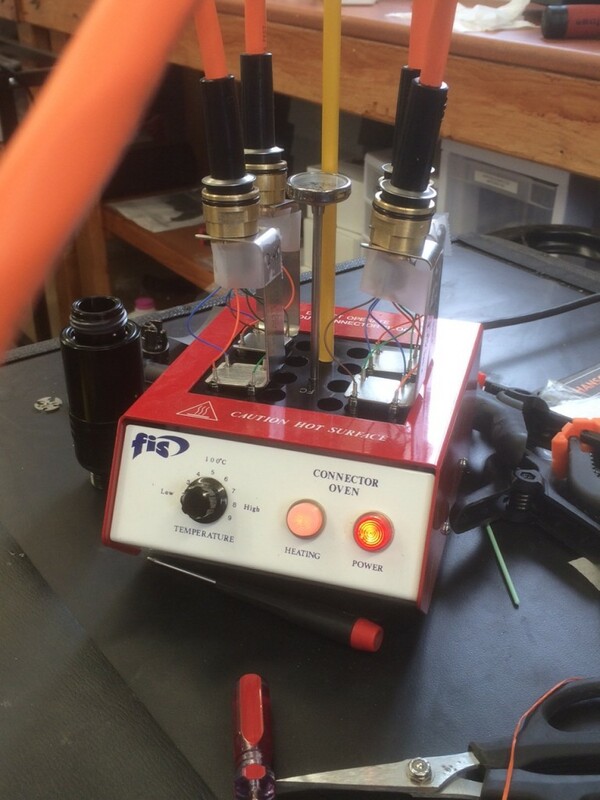 Now those connectors have been put into the heating unit so the epoxy can be cured. 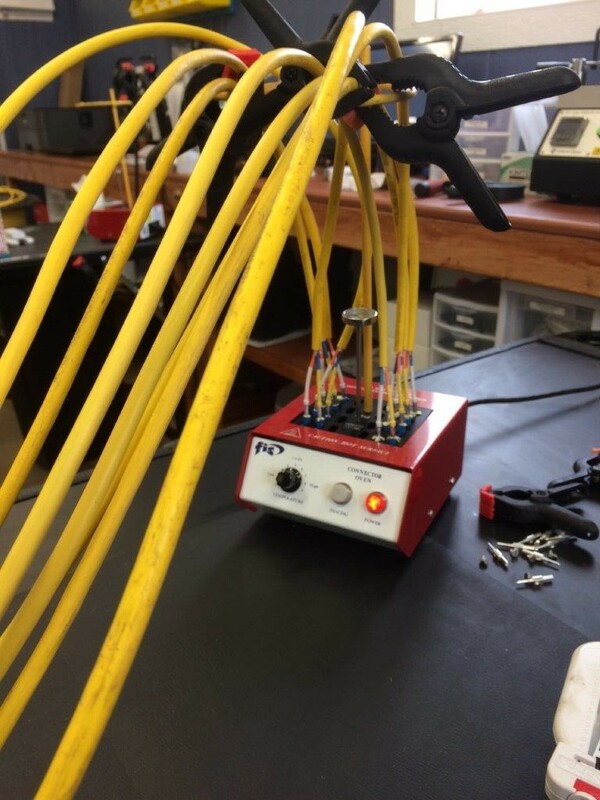 This photo is of Composite cables. Composite cables have two copper wires and two fibers. These particular cables have Singlemode, Breakout fibers. They have been prepared with LC connectors glued and installed, then cured and cleaved. 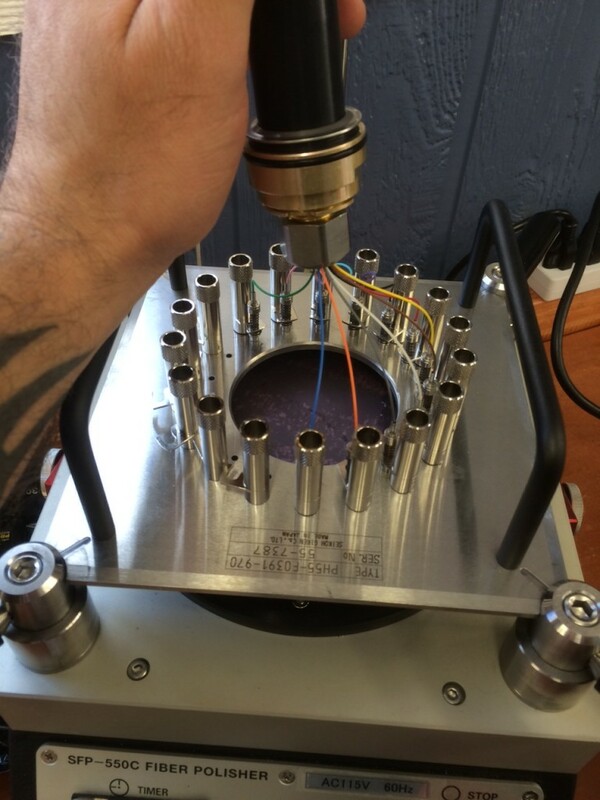 Now the photo is showing the connectors are installed in a polishing fixture and on the polishing machine. The faces of the fiber termini must be polished before they will work correctly. 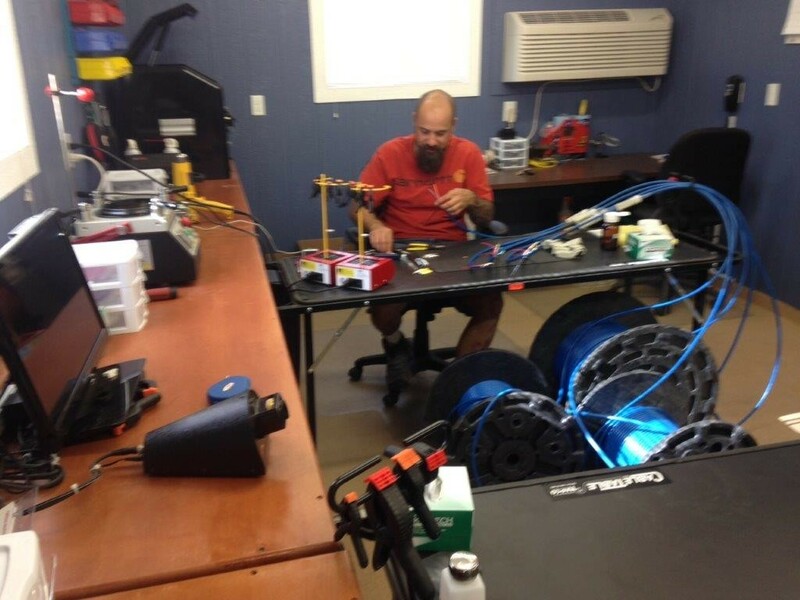 This is a view of the technician preparing cables for connector installation. 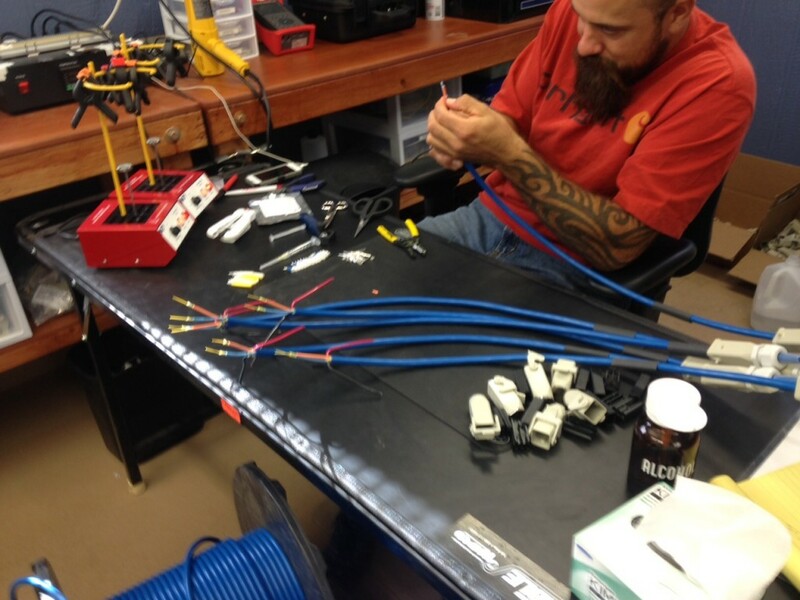 This technician has been stripping fiber cable insulation off the ends of cables and getting them ready for connector installations. 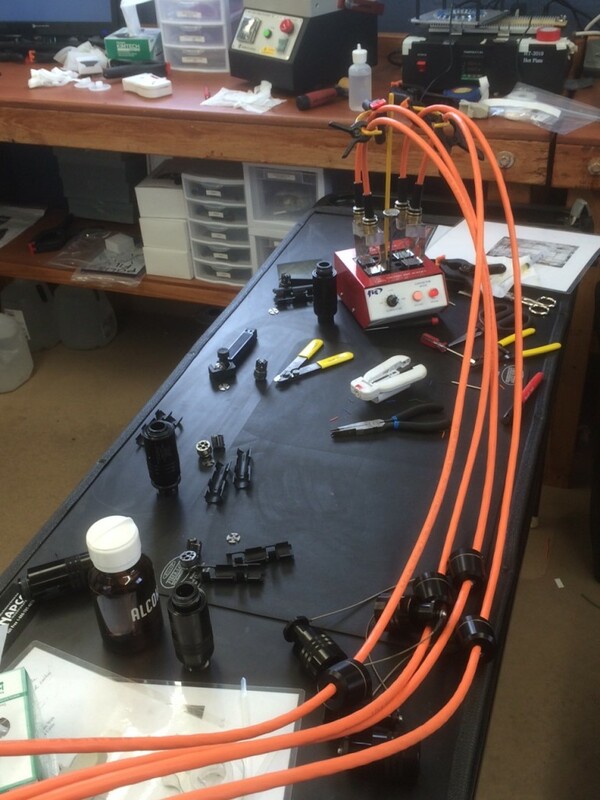 Work bench showing equipment, tools, and some cables with installed termini being cured in the heating unit. 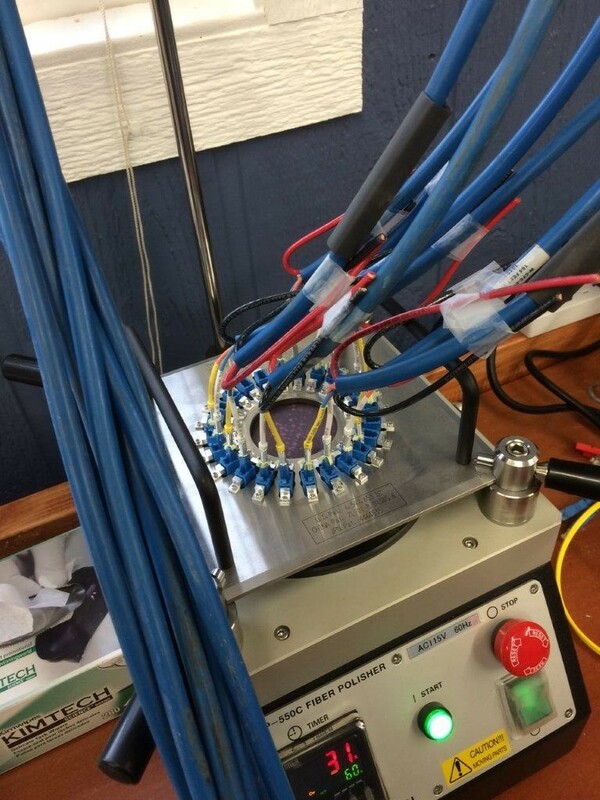 Close up view of 4 fiber AFL cable with installed termini in their special stands for heat curing. In the foreground you can see a microscope. The polished termini are inserted into the microscope and viewed on a large computer screen. Just one of the many test done to proof check the quality of the finished product. Using special fixture to polish TFOCA termini on the automatic polishing machine.